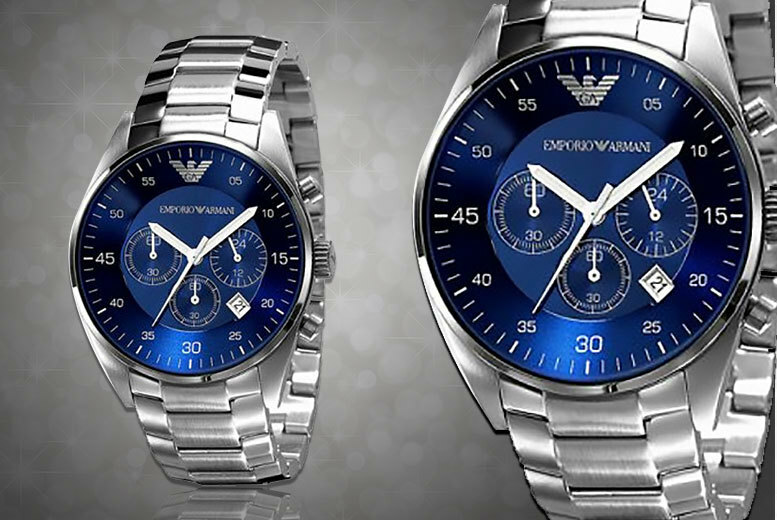 This Armani watch is the perfect finishing outfit for every outfit – with its modern design, three sub dials and a date display, you can make sure you’re never fashionably late again. Stylish modern design with three sub-dials and date display. Comes in a presentation box with watch cushion. A great gift for a special guy! Get the perfect gift for a stylish man with today’s deal. Coming in a handsome presentation box with a cushion, this watch would also make the perfect gift for a special gentleman.